Paying attention to gas prices is not something that three residents really have to worry about. Mary Arnold, Bob Jorgensen and Martin Hobbs all drive electric cars, specifically the Chevy Volt. These three environmentally conscious people said they think it’s great that the East Peoria city leaders had electric charging stations installed in the Levee District. Jorgensen said he charges his car there about twice a week, while Arnold, the pastor at First United Methodist Church in East Peoria, and Hobbs, who teaches earth science at East Peoria Community High School, use them less frequently. Because Jorgensen, a member of the East Peoria Green Team, often attends the City Council meetings at the Civic Plaza, he takes advantage of charging his car while doing so. “I charge as much at the city’s stations as I charge at home,” Jorgensen said. The charging stations in the Levee District are free to use. According to Matt Berger, the city’s IT coordinator, the year-to-date report for the charging stations shows that there have neverbeen more than three people using them at once, but there have been 29 unique visitors. Users have saved 98.5 gallons of gas, according to the ChargePoint dashboard. Arnold said she decided to get a Volt to support the environment and for economic reasons. “We’ve had substantial savings. We had a gas guzzler that we traded for it and we’ve saved over $200 a month in gasoline costs alone. We have not seen any significant increase in our electric at home,” she said. Electric cars have an electric motor but a gas generator, Hobbs said. The motorist can switch between the two, or if the electricity depletes, the car will automatically switch to gas. 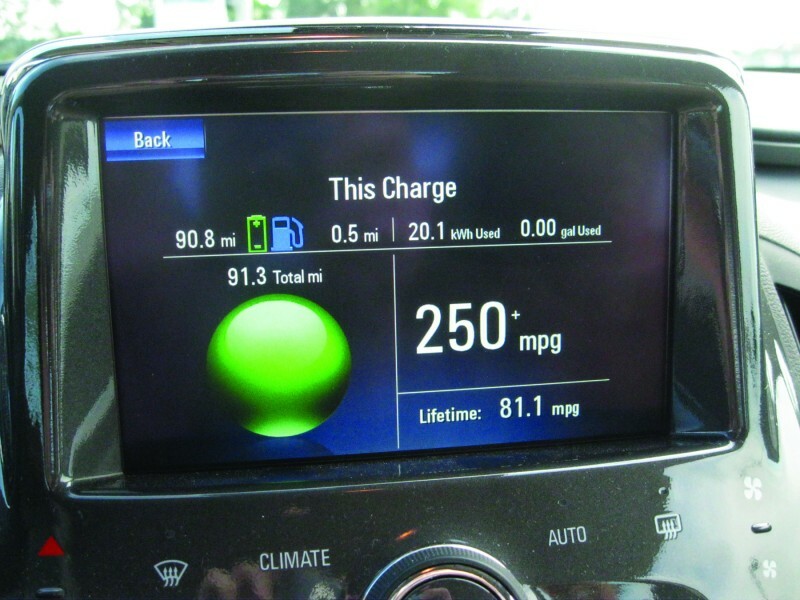 The Volt has a computerized dashboard and through OnStar communicates with Chevy about the vehicle’s performance. Jorgensen said he receives a monthly report from Chevy and he learned that he saved 28 gallons of gas in August. “That’s a lot of money,” he said. Hobbs said he purchased his Volt in December 2011. Since that time, he has saved about $4,000 in gas over his Honda Civic. “I had my first oil change at about 35,000 miles,” he said. The biggest maintenance for the vehicle is having the tires rotated, Hobbs said. The vehicles come with a plug in for a standard wall outlet. “That’s how I use mine. I don’t have a 220. I just plug in to my garage plug in every night,” Arnold said, adding that the car can be plugged into any outlet anywhere. “So if you went on vacation, like if you went to a camp, you can just plug it in there,” she said. It takes Arnold about 10 to 12 hours to fully charge her car. Hobbs pays attention to when it’s cheapest to charge the car. If he is charging his car during the day, Hobbs, of Eureka, can also use some of the energy from his solar panels. Hobbs, who charges his car using the 220 volt option, said a full charge takes about three-and-half hours. “I’m a big supporter of renewable energy,” Hobbs, a Green Team member, said. 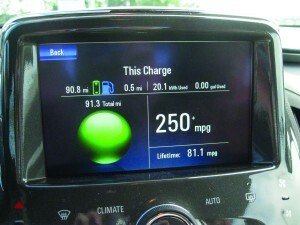 The batteries on the Volt have a warranty for eight years or 80,000 miles, Jorgensen and Hobbs said. To replace the battery pack, it costs $5,000 to $7,000. Still, the trio said it’s worth the purchase. Arnold said the sticker price for her vehicle was $41,000, but she paid less than that. Plus, she said she is going to get a $7,500 rebate for purchasing an electric car. Hobbs said he purchased the electric car when it was first released in the state in 2011. “I paid $500 over the (manufacturer’s retail price). Now I’ve heard you can pretty much get below that,” he said. 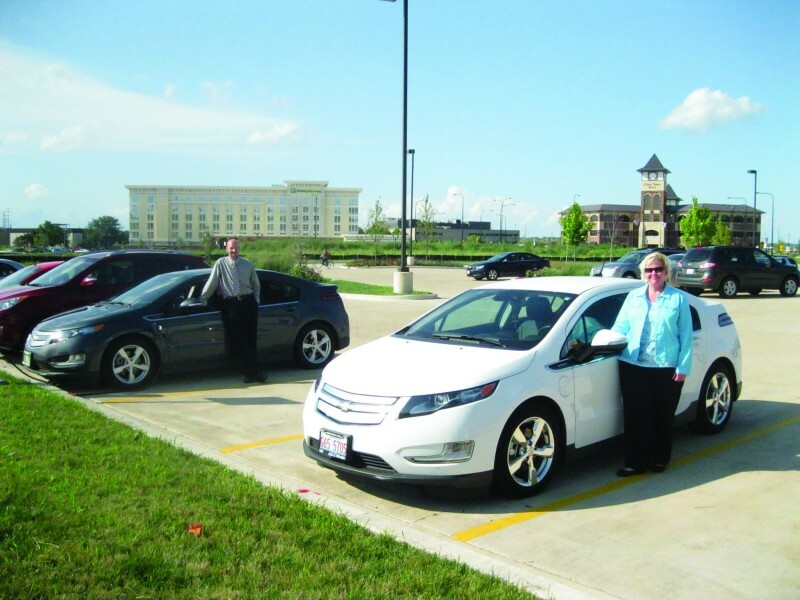 Jorgensen said after the $7,500 federal rebate and the $4,000 state rebate, he paid $24,000 for his Volt. According to chevrolet.com, a 2015 Chevy Volt is listed at $34,995. The Volt has many bells and whistles. Arnold said she likes the fact that she can start her car from her phone. “It rides very nice. The seats are very nice. It handles wonderfully. It rides much better than the Prius, much better than a couple of the Ford products we looked at,” she said. “There’s a reason it’s the No. 1 rated car in America as far as customer satisfaction,” Hobbs said. Some may think an electric car would not have any pickup, but Hobbs said that is not the case. “I had to watch it on the interstate because you can get up into the 70s even before you realize it,” Arnold said. Arnold said her family will always own a hybrid vehicle. 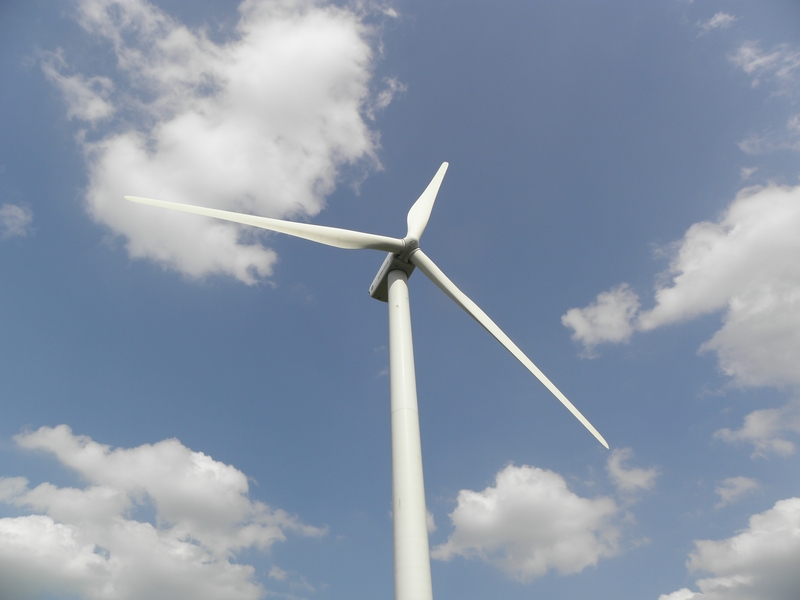 Hobbs and Jorgensen said they plan to stick with Volts in the future unless something even more energy efficient comes along. “I’m looking at the 2016 Volt because it’s a five-seater,” Hobbs said. “This is the first cool car I’ve had. I’ve never had people come up to me and talk about my car. I like being a celebrity that way,” Arnold said. “I also like that they’re made in America,” Jorgensen said.